RECLAIMED by Sarah Guillory - GIVEAWAY! 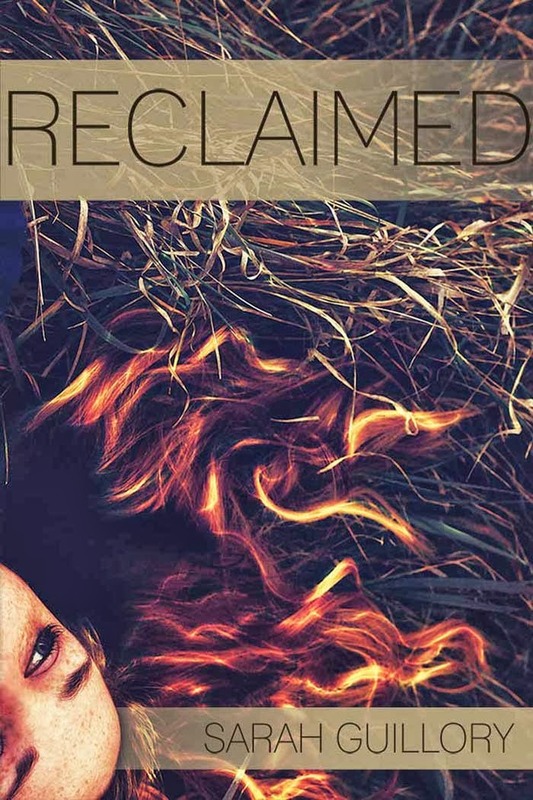 My friend Sarah Guillory's book, RECLAIMED, comes out today! OMG THAT MEANS YOU CAN GO BUY IT RIGHT THIS VERY SECOND AND YOU HAVE NO IDEA HOW LUCKY THAT MAKES YOU TODAY IS YOUR HAPPIEST DAY AND YOU PROBABLY DIDN'T EVEN KNOW IT YAY YAY YAY!!! Jenna Oliver doesn't have time to get involved with one boy, let alone two.All Jenna wants is to escape her evaporating small town and her alcoholic mother. She's determined she'll go to college and find a life that is wholly hers-one that isn't tainted by her family's past. But when the McAlister twins move to town and Jenna gets involved with both of them, she learns the life she planned may not be the one she gets.Ian McAlister doesn't want to start over; he wants to remember. Ian can't recall a single thing from the last three months-and he seems to be losing more memories every day. His family knows the truth, but no one will tell him what really happened before he lost his memory. When he meets Jenna, Ian believes that he can be normal again because she makes not remembering something he can handle.The secret Ian can't remember is the one Luke McAlister can't forget.Luke has always lived in the shadow of his twin brother until Jenna stumbles into his life. She sees past who he's supposed to be, and her kiss brings back the spark that life stole. Even though Luke feels like his brother deserves her more, Luke can't resist Jenna-which is the trigger that makes Ian's memory return.Jenna, Ian, & Luke are about to learn there are only so many secrets you can keep before the truth comes to reclaim you. Since Sarah and I share an editor, I was lucky enough to get a peek at this book a little early. You guys. You know how I get all swoony over beautiful writing? GAH. Sarah's a master of putting words together into some seriously gorgeous prose. You should read this because the story is gripping and there's a twist at the end that will BLOW YOUR EVER LOVING MIND but also because you need to study the way she writes. The best part is, Sarah is one of the most genuinely nice people I've ever met. She's sweet and hilarious and you've probably heard me mention that her voice is basically the sexiest thing ever. So. Since I love Sarah and this book, you're gonna reap the benefits!! I'm going to give away THREE E-BOOK COPIES (kindle or nook, your choice!) of RECLAIMED! http://www.amazon.com/Reclaimed-ebook/dp/B00EZY05ZW/ref=la_B00BS1BZPO_1_1?s=books&ie=UTF8&qid=1381851773&sr=1-1. Just copy and paste that link into your tweet and tell everyone they need it. NEED. 2. Leave a comment below and tell me the THREE PRETTIEST WORDS YOU KNOW. (IT'S OKAY AND PROBABLY EVEN A BONUS IF ONE OF THOSE IS "MEGAN.") Be sure to tell me how to reach you too- either a twitter ID or an email. Also, I'd super love it if you'd spread the word about this giveaway, follow Sarah on twitter (@sguillory262), and check out her blog (http://sarahguillory.blogspot.com). I'll use random.org to choose three lucky lucky lucky winners on Friday, October 18 at 12pm EST. I want to WIIINNNNNN!!!!! It's me. The fun, weird friend. ME. Sheesh how many fun, weird friends do you have? Obviously, I'm the derpiest of the commenters too. Fancy word: Disestablishmentarianism. DO I WIN? Tweeted!! Three pretiest words are books, Megan and Sarah <3 Mehehehe! Thanks for the book recommendation! I'm so excited to check it out!